Evaluating a Vendor Management System (VMS) can be an overwhelming process if you don’t know the right questions to ask in a Request for Proposal (RFP). You will want to conduct a thorough review of the vendor’s business model, core functionality and differentiating offerings such as business intelligence, integrations and customer service. As you begin to assess different vendors, this document can help guide your RFP and ensure the most important areas to your business are addressed sufficiently. Is your organization owned or affiliated with a staffing company? If so, which one? Can your product support programs managed by multiple MSPs or a combination of MSP-supported programs and self-managed programs? What is the process for using the application to schedule and track interviews? 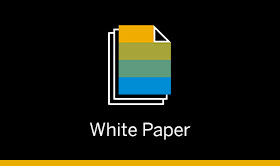 This is the first of three whitepapers in the "Essential Questions to Ask" series focusing on key questions to ask during the Vendor Management System RFP process.